(1) Have relevant education/training in hand, know exactly what you want to do and are ready to start building your career? (2) Want to explore the shipping industry as a possible long-term career path but are not sure how to use your degree/training or if you even want to stay in this field? (3) Want to journey through the world using the shipping industry as your vehicle, experiencing and tasting the vast variety of career possibilities, with no set goal for career achievement? If you are going to be on the seas, determine what kind of vessel will be comfortable for you (remember you are going to be spending a lot of time on it): dry bulk cargo ship, tanker, cruise ship, oil & gas carriers, etc. Once you have somewhat defined your immediate goals, head to your school’s recruitment office and begin to search out those shipping companies that will be the best initial fit for you. Most have elaborate websites that, in addition to a general overview of the company, will list all available jobs that you can easily apply for online. 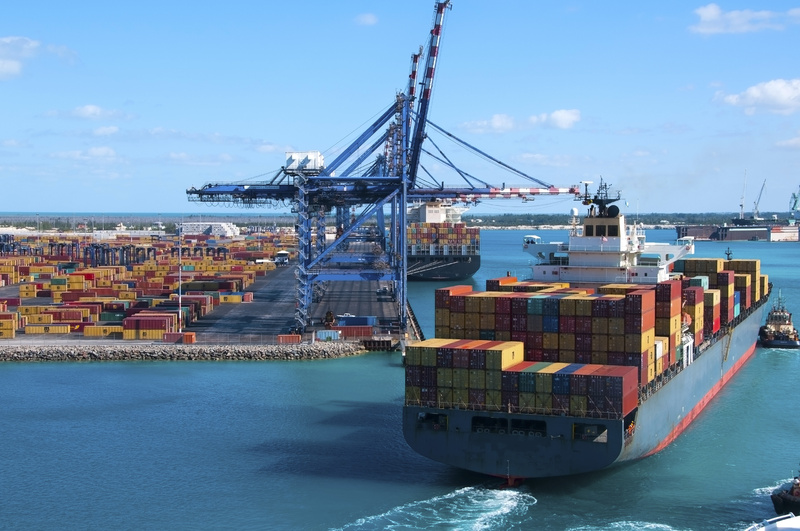 Don’t forget to check out shipping industry-specific journals such as “Tradewinds”, which lists positions available with international shipping industries. Be sure to use the interview process not just to present your unique skills and qualifications for the position you hope to acquire, but also to discover if indeed the company is the right fit for you. Ask lots of questions about career growth opportunities, mentoring, performance evaluations, salary and benefits, and anything else that you know is important to your physical and mental well-being. Large, international shipping companies offer the most variety of jobs and the best opportunities for you to advance in your career. They tend to have many international branches, which means that you can choose a home base that is outside of your native country. If you really want to acquire language skills or immerse yourself in foreign cultures, these larger operations may be the best home for you. Larger companies also afford you the opportunity to broaden your skillsets since you can more easily change positions while remaining within the company. A smaller company may have less travel and career path opportunities, but you could find yourself in a management position much more quickly. Smaller companies give you the sense of truly being a part of the operation, of being more fully invested in the company’s successes, and offer a greater opportunity to influence and be creative. The point to keep in mind is that there is a high demand for qualified professionals in the shipping industry, so in a way you are in the driver’s seat. The better your education and training, the more doors will be open for you. I was fortunate because my parents paved the way for me to find the ideal home for my career dreams. The company they built, the Foremost Group, began with my father’s love for the sea and his record-breaking performances in the maritime industry. He was the youngest sea captain at the time, reaching this distinction at only the age of 29. My parents, Dr. James S.C. Chao and Ruth Mulan Chu Chao, built an international shipping company with a strong reputation of integrity and success in the industry, and it was only natural for me to want to be a part of their dream and vision. It has been the best home for me to nurture all of my career aspirations. However, my professional career did not begin there. Initially, I attended Harvard College and received my AB in Economics. Upon graduation, I entered the world of finance, joining what is now Morgan Stanley Smith Barney. But, my passion for international shipping and engagement in international commerce never ceased. I returned to Harvard, this time attending Harvard Business School, and upon receiving my MBA I joined Foremost Group, where I am today.